With all these stockings I’ve been making, I guess I should show you the ones that started all this. Is this thing not awesome?! She also made everyone in her extended family a stocking. 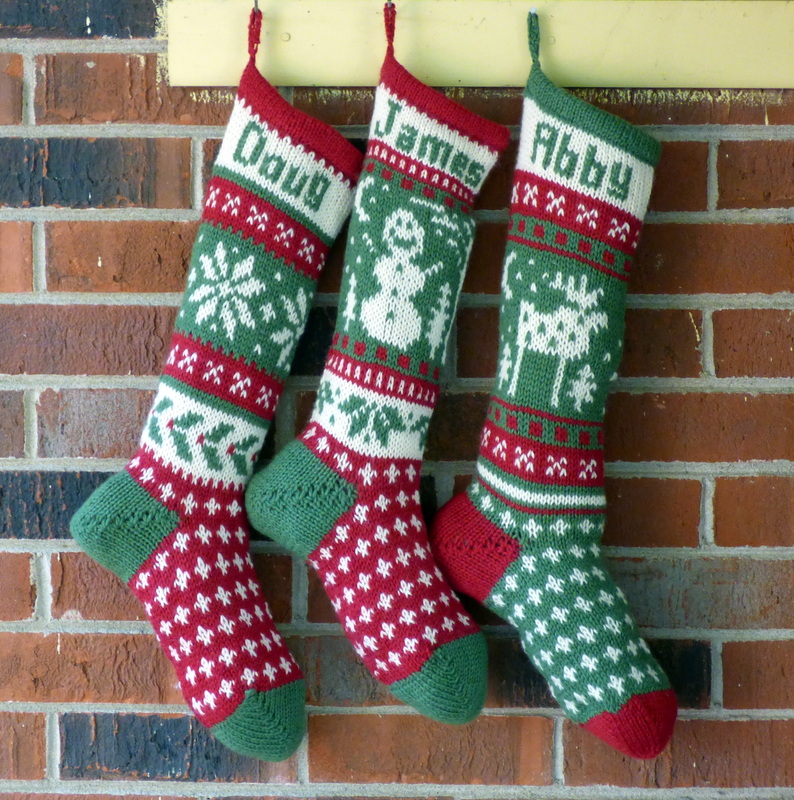 As the years went on, she either loosened up her grip or started using larger needles, or possibly both, but the stockings got progressively bigger with each new family member. The joke was that she liked the new ones better so they got bigger stockings. 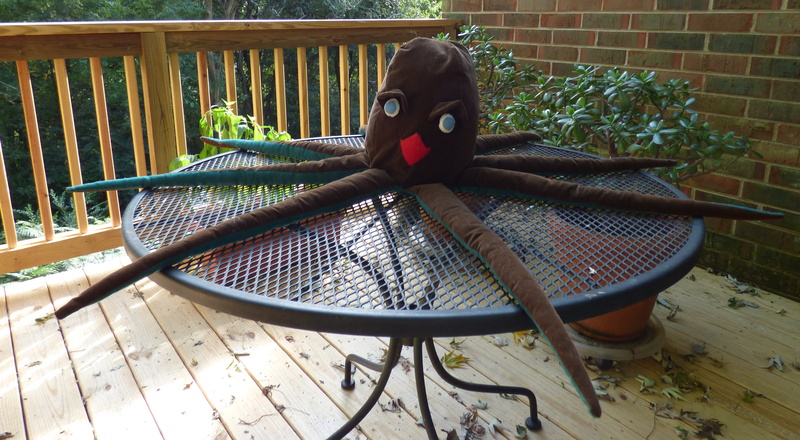 When she passed away two years ago, she had several stockings in progress. Those were given to the intended people to finish or have finished. This is one lady I am sad to have never known. When Jellybean came along, I knew he needed a stocking. 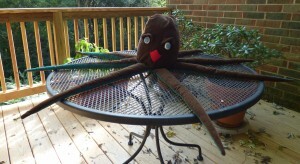 I knitted lots of things for him before he was born. A hat, mitten and sock set (that he outgrew in the womb,) a pair of warm wool pants (that I never put on him, for some reason,) and a jacket (that he DID get to wear a lot!) 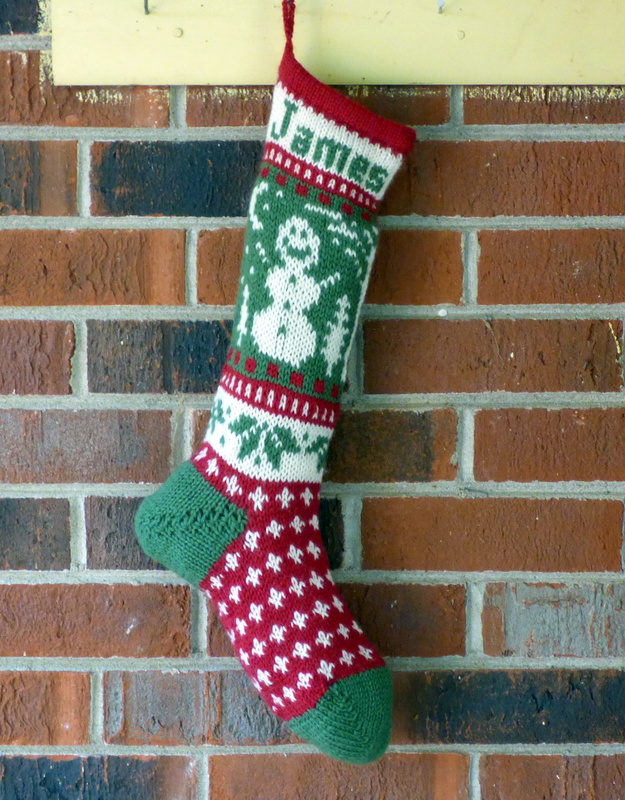 I’ve knit him several hats and another wool coat, but I hadn’t yet made him a stocking. I was too scared of color work. There are so many designs to choose from out there. I was stuck in analysis paralysis for several months, just trying to pick out a design. I finally settled on a snowman from Annie’s woolens. I made a few mistakes, but it was so much fun! I decided to make one each for my husband and myself. 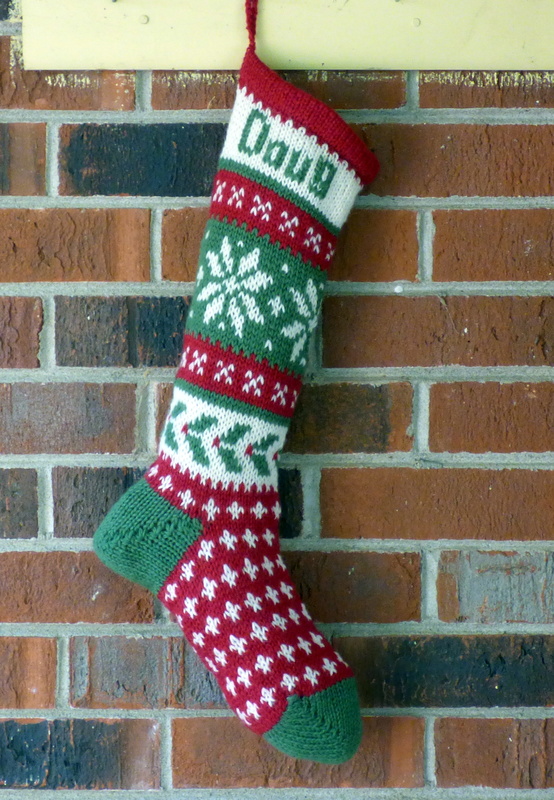 I really like the holly pattern Doug picked out for his stocking. It’s a classic. I picked out the moose for myself. That one was so off-the-wall, I figured it suits me just fine. I do have a confession, though. 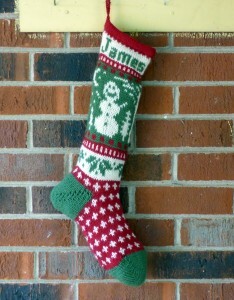 I am considering remaking the stocking for James. His was the first I made, it was quite the learning curve, there are mistakes that are very noticeable to me and I hadn’t yet designed the train stocking. I am thinking of doing another stocking in the train pattern for him. If not this year, then maybe next year. 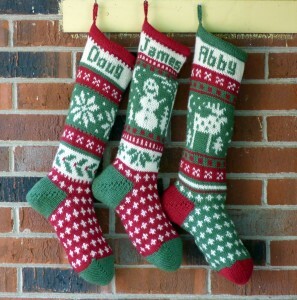 At any rate, we all have stockings and I will be so proud to hang these up at Christmas! Hey Abby! Didn’t know you were so crafty!!! Love it. I have been wanting to have a Christmas stocking made for Ouida Mae. My mom had one made for me when I was small. It has a Santa on it and the beard is (?) angora or something fluffy. I would gladly pay you for making one for OMB. The snowman/woman one or a dog (?) would be great! Love ya! Thanks, Dar. 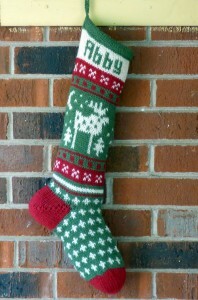 I think my husband’s stocking is probably the same pattern as the one you mentioned. Very vintage! Great post. Doug’s Aunt sounds like someone you would have had a connection with. I love the history behind your stockings.